In continuation of the personal finance checklist series, today I am going to talk about the two common approaches used to pay off high interest debt – most common scenario being household credit card debt. I am not going to bore you with national average household credit card debt statistics. The reason is simple – it is not going to make one iota of a difference in your personal finance situation or mine. What I will tell you is this – you are on the negative side of the power of compounding. 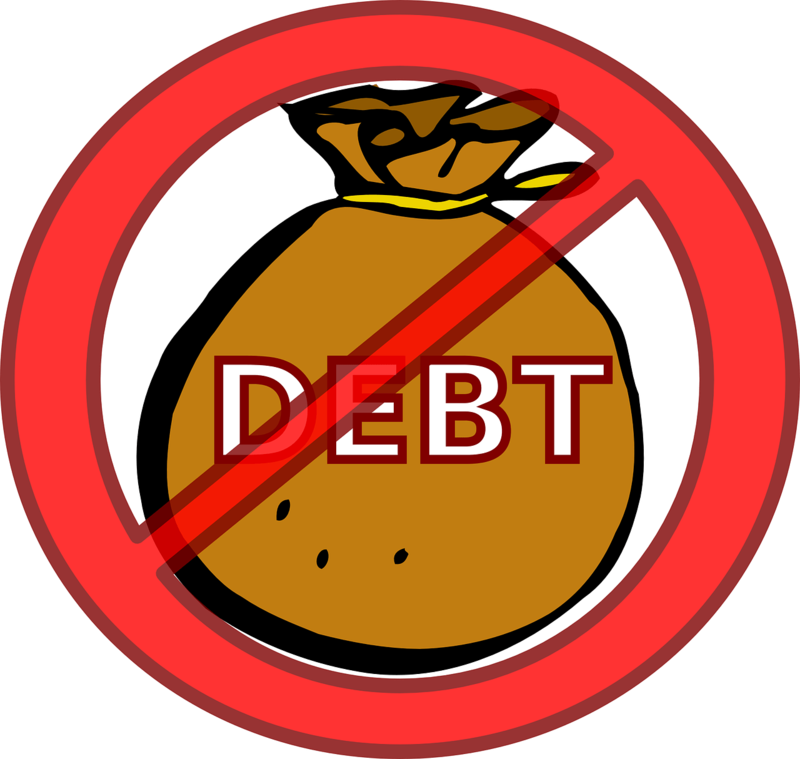 If you have credit card debt, you are making someone else very rich and you are paying dearly for it with your hard earned money! I am going to cut the chase and get straight to the point – “Debt Snowball” and the “Debt Avalanche” are the two common approaches used in paying off high interest credit card debt. It all starts with itemizing your debt. Regardless of the approach, the first and foremost thing to do is to itemize credit card debt in a spreadsheet and know how much you totally owe across all your credit cards. Then, stop using credit cards, come up with a budget, live within your means, and use one of the strategies to pay off your credit card debt. These are basic pre-requisites for either approach to work for you. In this method, you focus on paying off the card with the lowest balance while paying minimum amount due on all the other credit cards, regardless of the interest rate on all credit cards. You keep repeating this until your last credit card if fully paid off in full. You can read my post here on how I used the debt snowball method to pay off my $27,000 credit card debt within three years. In this method, you focus on paying off the credit card with the highest interest rate, while paying minimum amount due on all the other credit cards, regardless of the balance due on all the credit cards. You keep repeating this process until your last credit card is paid off in full. You can read how Kelley Long (CFP) paid off her credit card debt using the debt avalanche method. She suggests a tool called debt blaster which is very useful and handy to determine how long it will take to pay off your debt if you choose to go this route. Which method is better? Debt Snowball or Debt Avalanche? Debt Avalanche would be the fastest way to pay off debt – that is just plain and simple logic. Now, if we applied plain logic and lived within our means, then we would be debt free and couldn’t care less for either approaches. Reality is, if you are in credit card debt, and want to be debt free, you need to pick the strategy that works for you. In my case, when my last credit card was maxed out, it was moment of despair! I didn’t even know how much I owed totally across all my credit cards. I had lost all confidence in myself when it comes to managing my finances. I was afraid to look at how much I owed across all my credit cards. These thoughts came to me – I must itemize my debt and start by paying off the credit card with the lowest balance. It took a lot of courage for me to itemize my debt – I did it! It came to a total of about $27,000. Then I focused on paying off the credit card with the lowest outstanding balance of $250 – I did it! Without even knowing what Debt Snowball method is, I was applying it and it worked for me. My first victory of paying off the credit card with the lowest balance paved the way to my victory. Long story short, I paid off my debt within 3 years and have been debt free for more than a decade now. If you are in a position like I was in, start out with the Debt Snowball approach. Once you pay off a few credit cards, you morale will get a boost! You will gain confidence and be able to see the light at the end of the tunnel. At this point, you might want to switch over to the Debt Avalanche method to pay off your debt. The main objective is to get out of debt. Pick a strategy that you think would work for you and learn as you go. I cheer for you to be debt free! Have you paid off your credit card debt?What has worked for you? If you have credit card debt, which method do you plan on using to pay off your debt? I would love to hear your feedback. If you liked this post, please share this in social media. The debt snowball for some people is better because psychologically paying off debt is a huge morale boost. While on paper it probably makes more sense to do the debt avalanche since you will be paying off higher interest first and thus paying it down quicker. At the end of the day whatever method is going to help a person stick with paying off debt will be the most effective. Welcome back, Mustard Seed Money! Paying off debt is a “huge morale boost”! I felt like I came out of water and could breathe again when I became debt free. It felt so good and my stress level took a nose dive. Yeah, one most use a strategy that works for them – the key is to get out of debt. I always love your informative posts. These two methods are great for getting things moving in the right direction. I agree that making a plan to pay off debt is a great move. We should all be living within our means and not borrowing. The trouble is it has become so easy to borrow and we can have what we want now and not have to save up and wait for things. Of course the reality is it becomes harder to make ends meet and we can end up in a very bad position. Thank you, Mandy! “love your informative posts” – this made my day! Yes, I agree, it is so easy to borrow and fall into the debt hole. Living within our means is common sense. However, common sense seems to be a rare commodity. I’ve never had credit card debt, but when we were paying off student loans, we used the avalanche method. Though it is faster, sometimes you need those small wins and that’s when it makes more sense to conquer the smaller balances first and use the snowball method. I like your method of combining the methods too. You have dealt with money wisely by not having credit card debt. Thank you for sharing the method you used to pay off your student loans. Combining the two methods was idea that came to me as I was writing the post. I couldn’t agree more about doing what works best for the individual, Michael. For us we’re using a combo of the two and it’s working. What matters most is that one is paying down the debt! One approach builds your morale while paying off debt while the other knocks down debt faster. I am glad to hear that you are using a combined approach and it is working! You’re right in that it is down to the individual – but I guess that’s why it’s called personal finance 🙂 my debt that I am tackling at the moment is all on 0% interest and I’ve moved it all onto the same card so I am just attacking that! You can’t beat 0% interest rate, that’s a smart move. Wish the best in getting out of debt ASAP. The debt snowball method worked best for me. I was motivated seeing my balances drop quickly. I knew that speaking strictly from a finance stance that the debt avalanche would save me the most money in interest charges. But that didn’t motivate me enough. I had to see the balances drop to get excited. Thank you for sharing what worked for you – you are absolutely right about motivation. Debt Snowball works like a charm when it comes to seeing tangible results in terms of credit cards going to zero balance followed by closure. That is what kept me going. Didn’t realize that there were two strategies to paying off credit card debt. I haven’t had to worry about my credit card debt because I pay it off in full every month but if I ever jump off the personal finance bandwagon (which I don’t think I will!) and rack up a lot of credit card debt, I will try either of the two methods. Thanks for the strategies! That’s awesome that you have never had credit card debt. I don’t think you would be in a credit card debt situation :). It is always good to know the strategies available so that you can help someone else along the PF journey to become debt free. Nice post Michael. We’ve made an effort to never have a credit card, so subsequently we’ve never had debt. But we’ve always thought that IF we did, we’d use the avalanche method. Actual results are better than psychological effects of eliminating them one at a time. That is awesome to hear that you have never had credit card debt. It is clever of you to have done your homework. You know the strategies and the path you would take should you ever face the credit card debt situation. I’ve never heard either term, although the is some obvious logic here. I had my credit card debt on one card at 0% and pay over each month. It’s amazing how quickly it can come down when you take a handle on it. I will have paid my student loan off finally next year! Whoop. It is good that you are not paying interest on your credit card debt. Yes, when you make paying off the credit card a priority, it comes down really fast. That’s awesome that you would be done with your student loan next year. Keep it going! Once you have paid off your debts, focus all your energy in saving and investing. I’m definitely a fan of the hybrid method. I think small psychological wins from the debt snowball combined with a long-term strategy of debt avalanche can be a powerful tactic. Yep! I couldn’t agree more with you on that. Stretch A Dime Turns One!